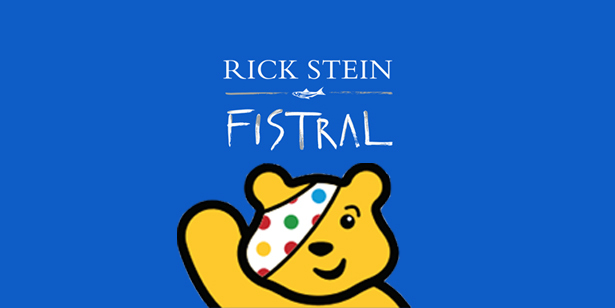 From 7pm, Friday 13th November, Rick Stein Fistral will be offering a free main course for the first 100 people to donate to Children in Need at their restaurant in Newquay. We’re encouraging you all to dig deep and help us raise as much money as we can for this fantastic cause and once you’ve donated you can choose a complimentary main courses from our menu: from classic fish and chips to something from our curry kitchen. We are running this offer for our first 100 customers until we close at 8pm on Sunday 15th November, so head to Fistral and get donating! Click here to get the voucher you need to redeem your main course. Minimum £5 donation. Entrants must show the voucher in the above link to a member of staff to be eligible to qualify for a free main course. Offer ends after 100 people have donated the minimum amount and redeemed their main course or at 8pm, Sunday 15th November 2015. Those donating will be asked to sign a poster in the restaurant with their name to show that they have donated. One free main course entitled per voucher. The lowest price main course meal will be deducted from your bill. Limited to one voucher per person. The lowest price main course meal will be deducted from your bill.